We hold auditions by appointment prior to each season’s start of rehearsal. Auditions are by appointment, so please call (952) 476-1922 or contact our Membership Chair to schedule YOUR time! 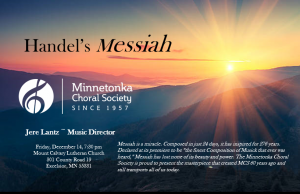 The Minnetonka Choral Society (MCS) began in 1957 as a loose association of choirs to sing Handel’s Messiah. In 1969, we reorganized under the direction of Jim Dau, who retired in 1989 after 20 years of leading our community choir. 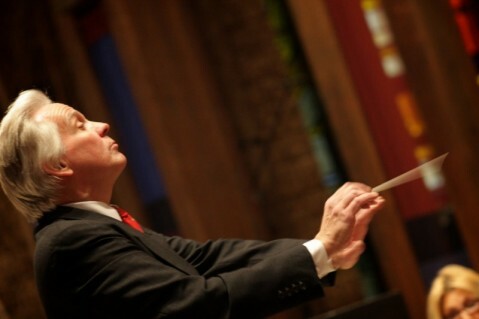 The baton was passed to Peter Hendrickson, and since 1991 has been held by Music Director Jere Lantz. Since our inception we have become known for our high level of artistry and breadth of repertoire. 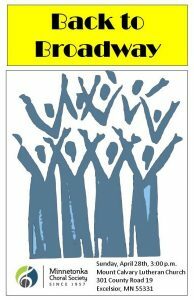 We are a nonprofit organization, supported exclusively from the funds raised by our members and by choir concert ticket sales. We currently have about 80 members. We rehearse for about six months and perform two choir concerts each year. 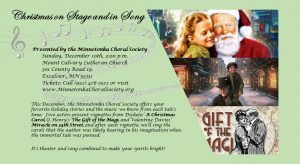 In December we sing a holiday concert and in April or May we offer our spring concert for the Twin Cities community. 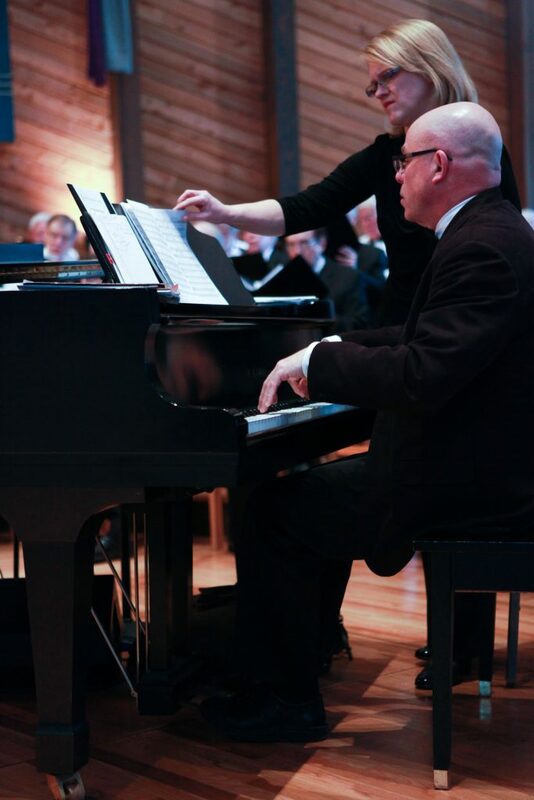 Our concerts are frequently performed with a paid professional orchestra. Our soloists are either paid professionals or MCS members. Would you like to join us? Auditions are in the fall and spring. Would you like to support us? Donations are welcome at any time. Would you like to hear us sing? Tickets are on sale now! If you would like to support our non-profit organization or purchase concert tickets, please click on the Donate button below or contact us. We look forward to sharing beautiful music with you! 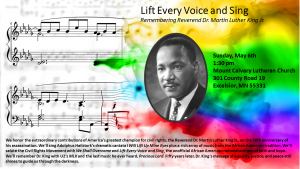 Spring 2018: Lift Every Voice and Sing: Remembering Reverend Dr. Martin Luther King Jr.
Holiday 2009 – A Ceremony of Carols by Benjamin Britten with carols from across the centuries and around the world. Spring 2009 – That Was Then, This is Now by Kevin Dobbe along with choral masterpieces spanning five centuries. Tickets purchased online will be available at the Will Call desk on the day of the concert. The facility is fully handicap accessible. Sponsorship will be recognized online and in the Concert Program.